Complete in a Black Imitation Velvet Presentation Box. 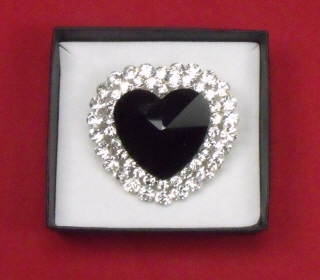 Delightful Diamante and Black Jewel Heart Brooch. Complete in a Black Card Presentation Box Box. 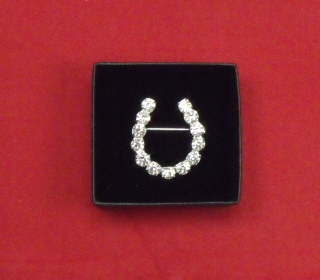 Delightful Small Crystal Horse Shoe Brooch. Complete in a Black Card Presentation Box. Complete in a Black Cardboard Presentation Box. 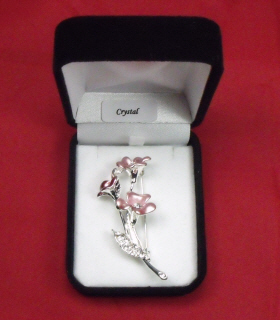 Delightful Silver Tones "I HOLD YOUR HEART IN MY HANDS" Brooch with a Red Crystal Stone. 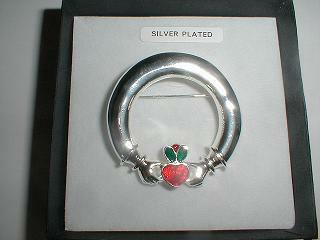 Complete in a Black Carded Presentation Box. 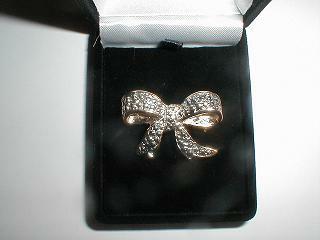 Delightful Gold and Silver Tones Bow Brooch. 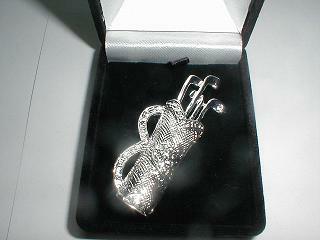 Delightful and a Perfect Present for the Golfing, Lady Silver Tones Golfing Brooch. 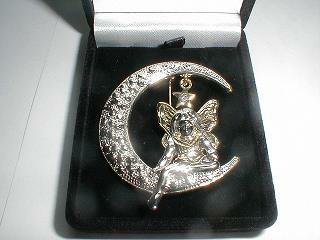 Up To The Minute Fairy, Moon and Star Silver Tones Brooch. 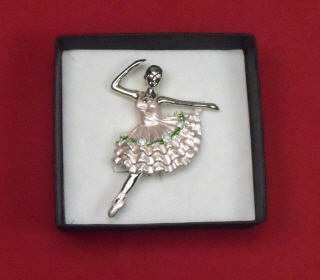 5.Up To The Minute Fairy, Moon and Star Silver Tones Brooch. 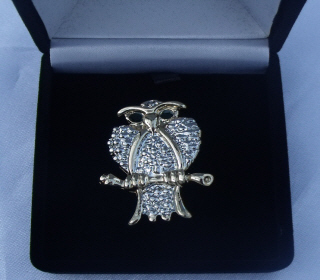 Lovely Silver and Gold Tones Owl Brooch. 6.Lovely Silver and Gold Tones Owl Brooch. 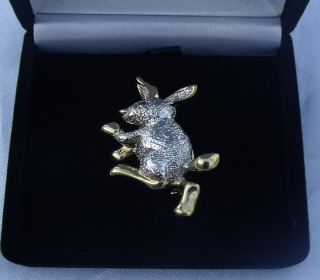 Lovely Silver and Gold Tones Cute Rabbit Brooch. 6.Lovely Silver and Gold Tones Rabbit Brooch. 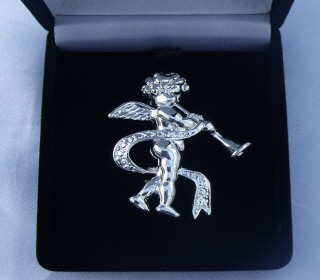 Lovely Silver Tones Angel with Horn Brooch. 6.Lovely Silver Tones Angel with Horn Brooch. Fun Gold Tones and Colour Enamelled Clown Brooch. 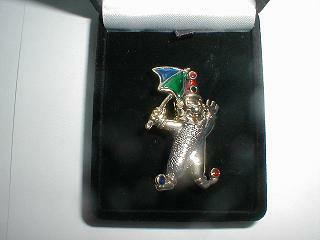 7.Fun Gold Tones and Colour Enamelled Clown Brooch. 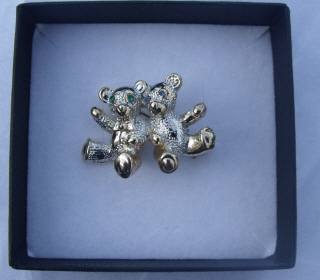 Delightful Gold and Silver Tones Teddy Brooch. 8.Delightful Gold and Silver Tones Teddy Brooch. 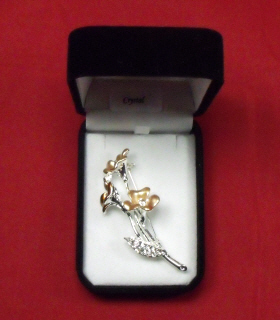 Delightful Gold and Silver Tones Bird Brooch. 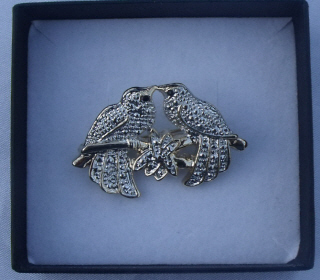 8.Delightful Gold and Silver Bird Brooch. Lovely Silver and Gold Tones Cat Brooch. 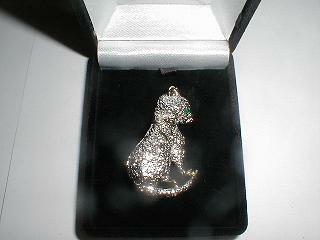 9.Lovely Silver and Gold Tones Cat Brooch. 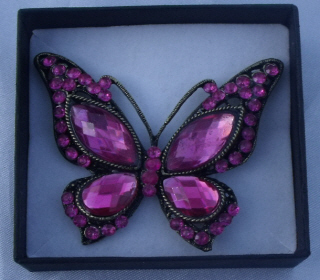 Delightful Purple Antique Plated Jewelled Butterfly Brooch. 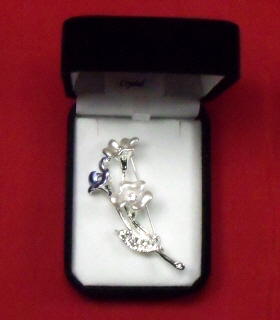 8.Delightful Purple Jewelled Butterfly Brooch.